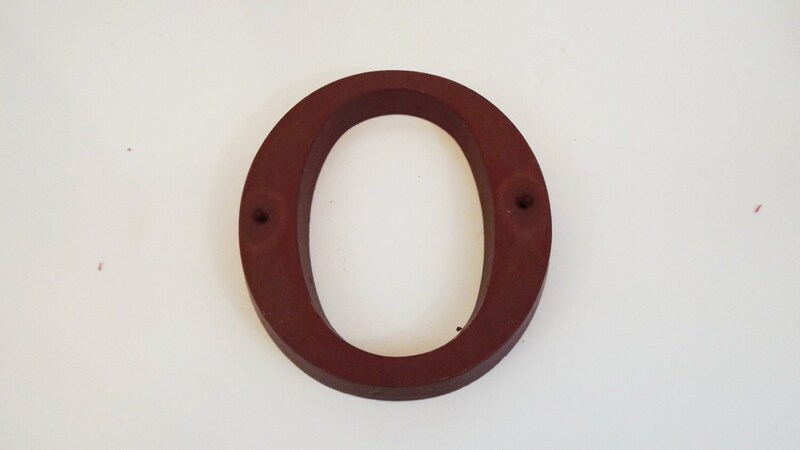 Salvaged Plastic Letter O circa 1970s. 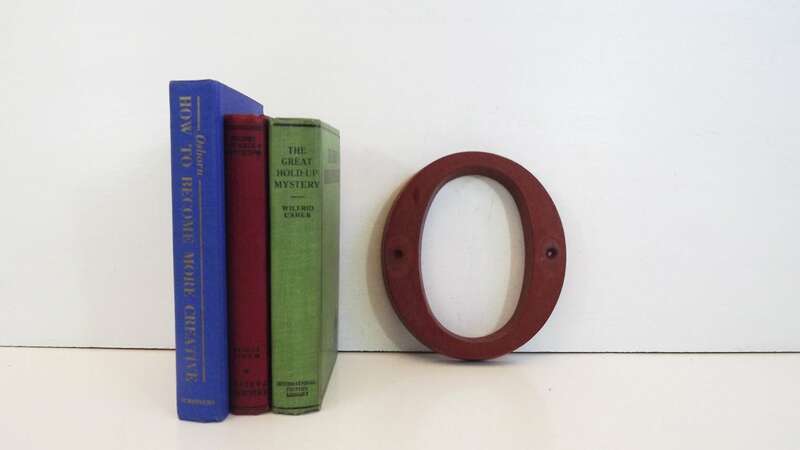 Letters are light and appear to be made from a plastic or syroco (wood/plastic combination) type material. 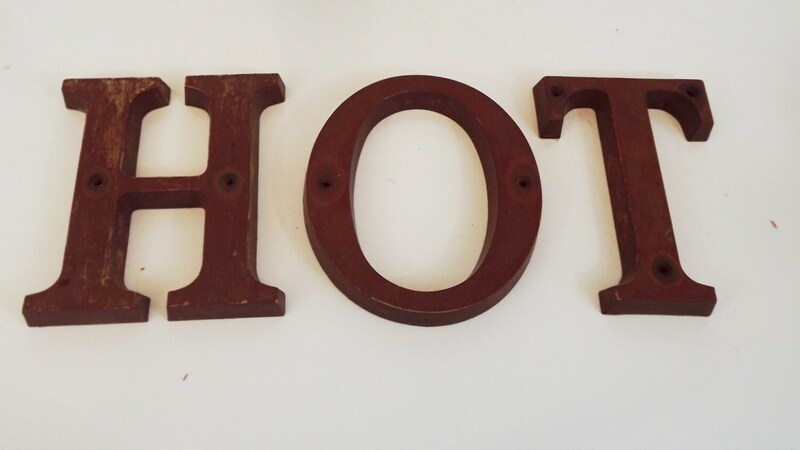 All letters have holes in them where they were once drilled into a wall. Great piece of vintage home decor. Can be hung on wall or can lean against your shelf. 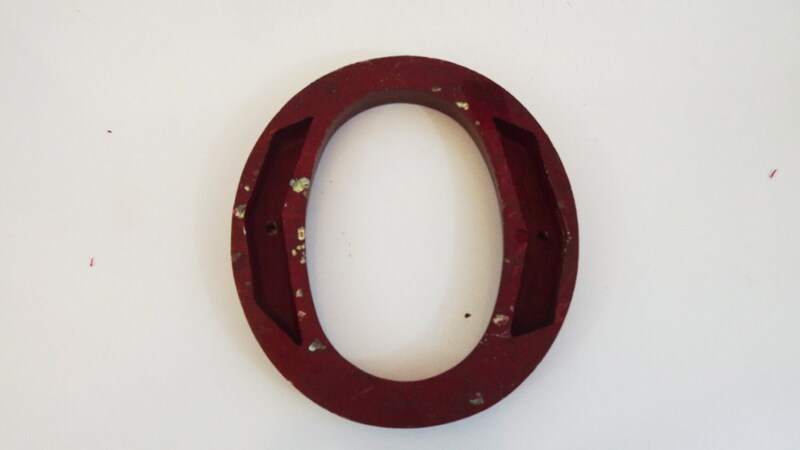 Letter will not stand on it's own. I wiped these letters clean, but left them otherwise how I found them. Size: Approx. 7'' tall (6 5/8'') by 3/4'' thick. Condition: Rustic vintage condition. 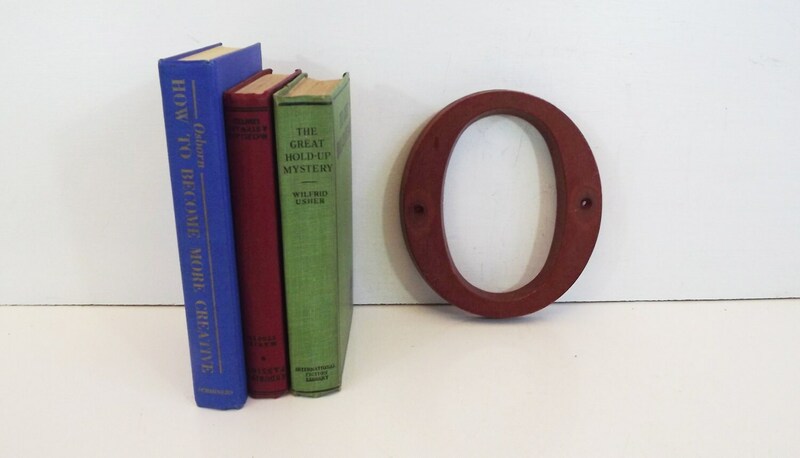 All letters have wear, are meant to have that rustic/shabby chic look. Some have wear more than others. If there are multiple letters available when purchasing, please indicate if you'd like your letter more or less "rustic" (i.e. more or less wear to the paint, etc. ).